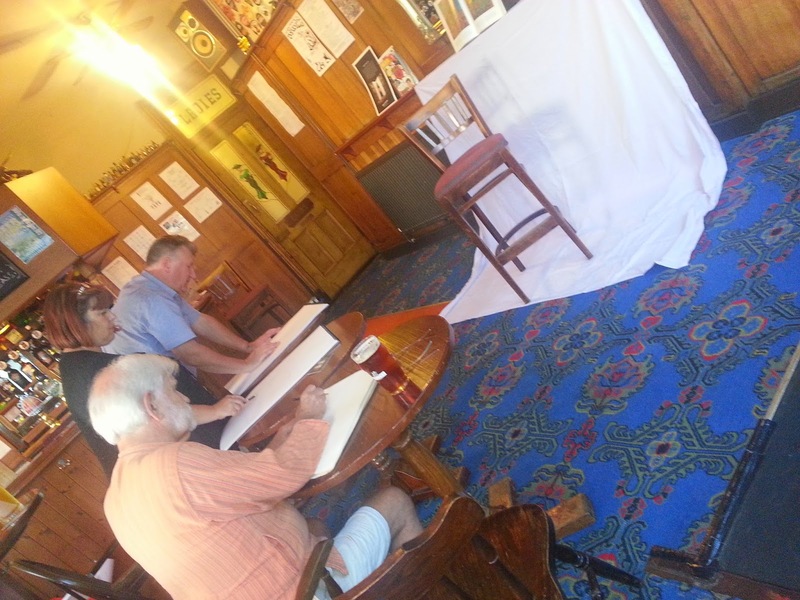 Have been having a great time doing the DRINK and DRAW sessions at the Golden Eagle Pub on the corner of Delawere Road in Southsea on Tuesday evenings. 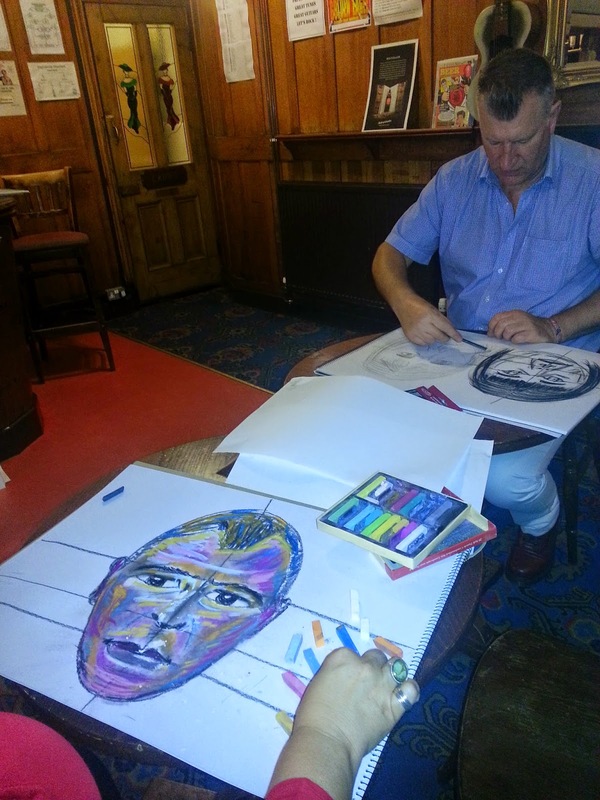 Every week is a different theme, and anyone can come along - even if they have no experience of drawing whatsoever - and join in from any time after 7pm. I charge a nominal fee, and we have drawing materials too if needed. 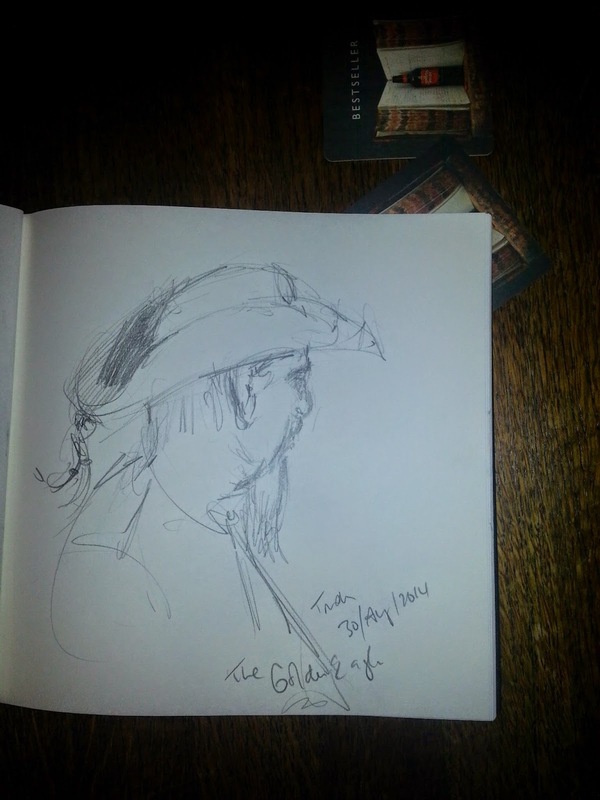 .. and I have continued to draw the bands who play in the pub during the weekends too - as seen in my last post. 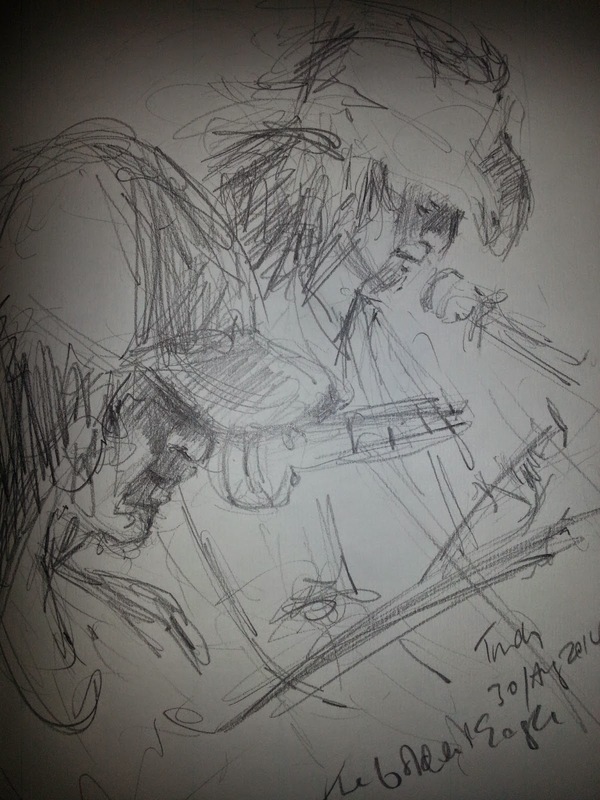 Last weekend I sketched the band 'Hazzard County' - great riffs and rythms. If you like good old solid Rock, then vist their Facebook site for further info HERE. 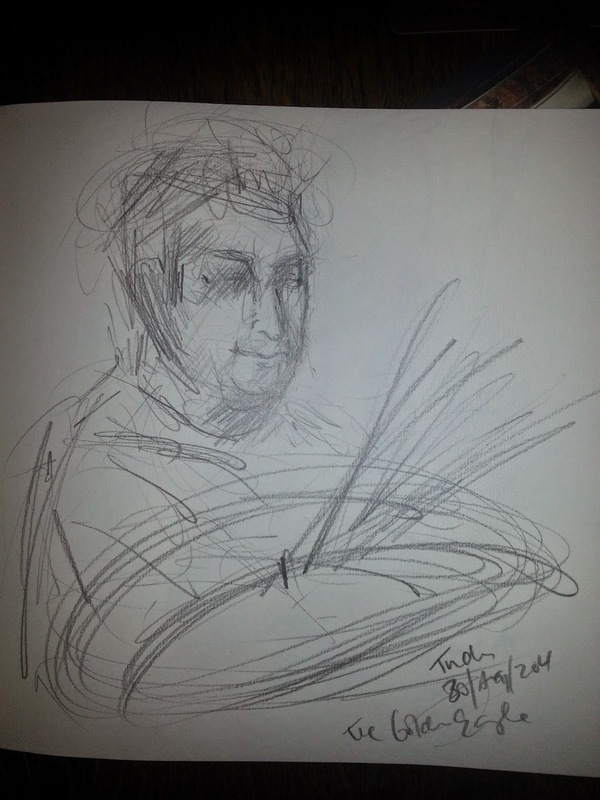 I am really enjoying drawing musicians - I think this may well be something I will develop further with paintings in the future.... 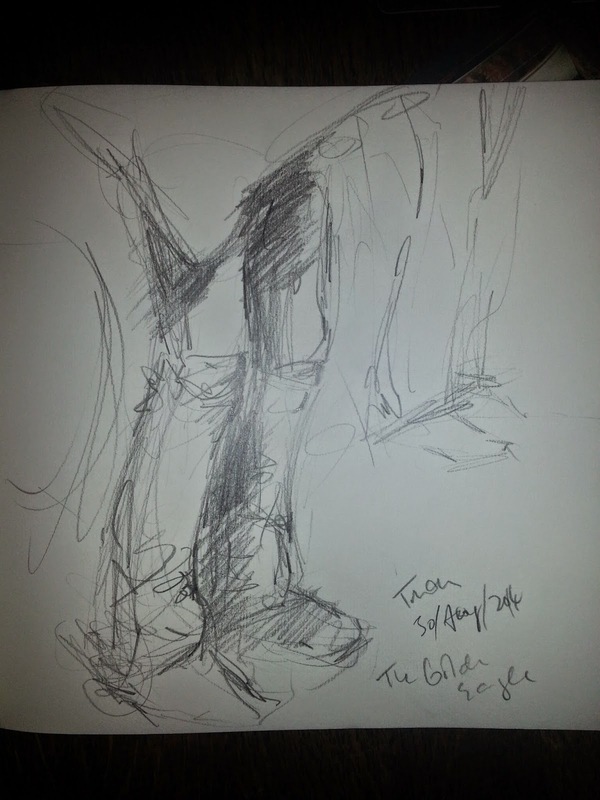 I like the spontaneity of mark making whilst they are moving around and focussing on their music, the pencil strokes echo the rhythm of the music (like when I am playing drums) and the movement of the band. 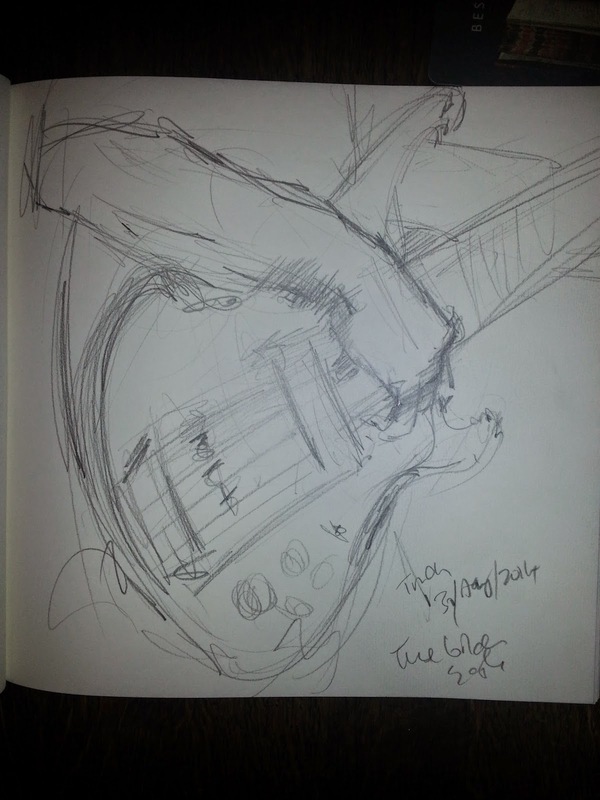 I feel the intensity and immediacy of drawing like listening to music. But... Still waiting to get my other paintings into the Hospital in Gosport - I will be talking to them again next week - so lets hope we can move forward and get them into the ward asap! (apparently they have a conservatory that has just been completed) In the meantime, I am making preparations for teaching in the coming academic year at my University - which starts VERY soon!!! Even more busy times ahead!! !